If there's one thing that needs constant reminding, it's the explicit purpose of the copyright monopoly. Its purpose is to promote the progress of human knowledge. Nothing less. Nothing more. 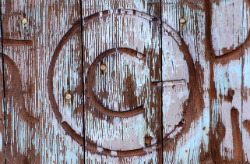 While the copyright monopoly has many different origins that have come together under this umbrella of hodgepodge different monopolies, few copyright monopoly laws are as clear on its purpose as the one in the United States of America. [Congress has the power] to promote the Progress of Science and useful Arts, by securing for limited Times to Authors and Inventors the exclusive Right to their respective Writings and Discoveries. This passage is notable for a number of different things. We begin by noting it says that Congress has the power, and not the obligation, to create this monopoly. Thus, the US Congress could abolish the monopoly tomorrow if there was political will. Those who claim that the copyright monopoly is “constitutionally guaranteed” are simply wrong. One hundred percent, 180 degrees wrong. Second, we should make careful note of its language. This passage enables the US Congress to make two kinds of monopolies: copyright monopolies and patent monopolies, respectively. Science and the useful arts. The “science” part refers to the copyright monopoly, and the “useful arts” has nothing to do with creative works – it is “arts” in the same sense as “artisan”, that is, craftsmanship. So let’s start looking at what is not in this passage. The first and obvious thing we note is that the purpose of the copyright monopoly isn’t to enable somebody to make money, and never was. Its sole purpose was and is to advance humanity as a whole. The monopoly begins and ends with the public interest; it does not exist for the benefit of the author and inventor. Thus, the copyright monopoly is a balance between the public’s benefit of progress of humanity’s overall knowledge, and the same public’s interest of having access to that knowledge. The balance of the copyright monopoly is one between two interests of the public. Make careful note that the copyright industry is not considered a stakeholder and that their interests are not considered valid for the purpose of making these laws; they are beneficiaries of the monopoly, for certain, but they are not stakeholders and their interests are not to be considered in making the law. The second thing we note is the “science” part. The US Constitution only gives Congress the right to protect works of knowledge – educational works, if you like – with a copyright monopoly. “Creative works” such as movies and music are nowhere to be found whatsoever in this empowerment of Congress to create temporary government-sanctioned monopolies. Which brings us to the third notable item: “the exclusive right”. This is what we would refer to colloquially as a “monopoly”. The copyright industry has been tenacious in trying to portray the copyright monopoly as “property”, when in reality, the exclusive rights created are limitations of property rights (it prohibits me from storing the bitpatterns of my choosing on my own hardware). Further, it should be noted that this monopoly is not a guarantee to make money. It is a legal right to prevent others from attempting to do so. There’s a world of difference. You can have all the monopolies you like and still not make a cent. The fourth notable item is the “for limited times”. This can be twisted and turned in many ways, obviously; it has been argued that “forever less a day” is still “limited” in the technical sense. But from my personal perspective – and I’ll have to argue, from the perspective of everybody reading this text – anything that extends past our time of death is not limited in time. Now, other countries have other rationales for the copyright monopoly (which, as I described earlier, is a hodgepodge of monopolies ranging from a commercial exclusivity on performances, to a statutory right to being named as an author – two obviously quite different mechanisms that should never have had the same name). The original copyright monopoly, which was enacted by Queen Mary I on May 4, 1557, was created as a repressive tool against freedom of speech in order to crush political opposition. Victor Hugo’s Berne Convention 400 years later was primarily focused on so-called moral rights of authors – the right to be named as author, for instance. But no law lays out the purpose of the monopoly this clearly. The key takeaway here is that there’s no law whatsoever written with the purpose of enabling somebody to make a living doing their favorite pastime. That is not and has never been the purpose of the copyright monopoly. I find it quite useful to point at the US Constitution when people think that the copyright monopoly is somehow there to guarantee somebody’s right to make money. There’s no such thing, nowhere on the planet, not for any entrepreneur. c There are 137 comments. Add yours?